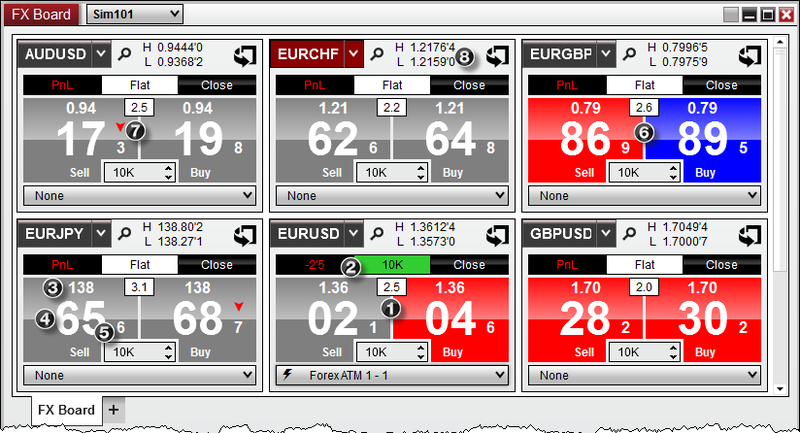 To open the FX Board window, select the New menu from the NinjaTrader Control Center. Then left mouse click on the menu item FX Board. 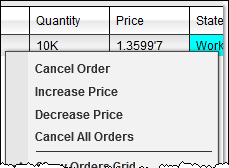 Note: Positions and orders will only display for the selected Account and Instruments. The Market Display panel shows the inside bid and ask along with current position information. Each tile will have two panels, representing the bid and ask price, where each respective panel will flash to represent when a tick has been received and the direction of the tick. Instrument tiles also give you the ability to quickly place orders, or can be "flipped" to place custom orders. Please see the section on Submitting Orders for more information. 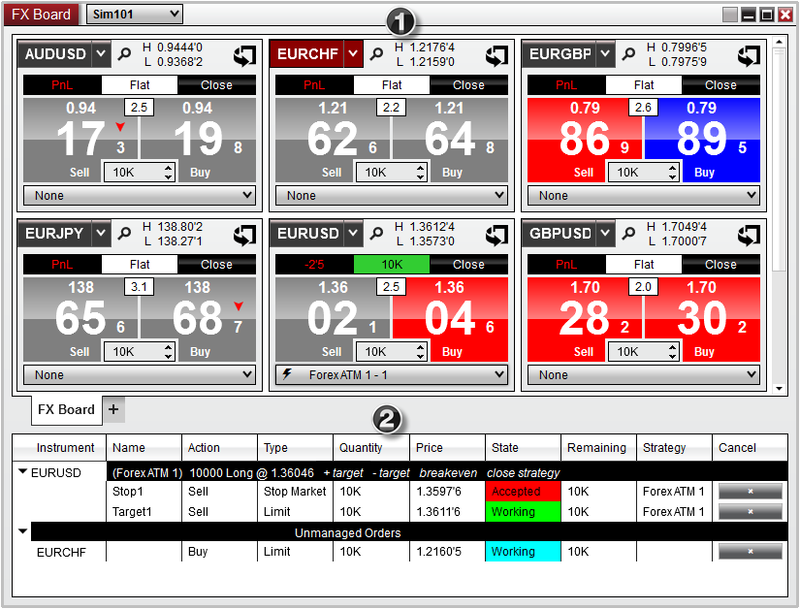 The Order Grid displays active orders for the account and instrument tiles selected in the FX Board window. Orders that are submitted to the same instrument will be grouped together in the Order Grid and displayed in an aggregated view to consolidate these orders together. 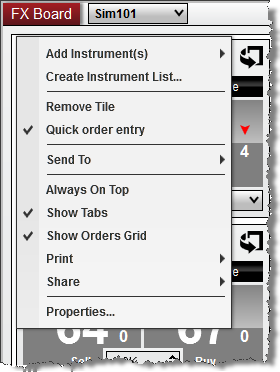 Tip: You can collapse orders under an instrument header by selecting the down arrow next to the instrument name. 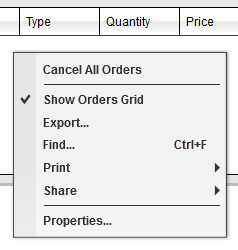 By moving your mouse cursor over an order and pressing down on your right mouse button, you will see a context menu listing all individual orders consolidated at the corresponding price and any relevant actions that you can perform on those orders.